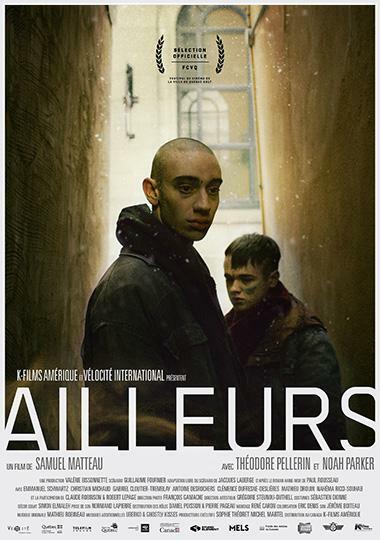 Ailleurs is the first feature length film by Samuel Matteau showcasing two exceptional young actors: Noah Parker and Théodore Pellerin (guest at FFC 2018 for his short film, Sigismond Imageless). The film tells the story of Samu and Tévé, two 15 year old boys on a journey through the alleyways of the city of Québec. They are desperate to flee their lives at the Seminary of the Marist Fathers and escape to the bright colors and warmth of California. When Samu stabs his father in a heated argument, the two best friends flee in the night. However, without the financial means, they end up finding refuge with La Belette, a young junkie who is at loggerheads with his dealer, who takes them under his wing and brings them back to the “squat”, met unkindly by the other ” squatters.” Best friends, their friendship is tested… they are being sought by police. Tévé, the more timid of the two boys, is acted with beauty and refinement by rising star Noah Parker. This makes the movie essential. The filmmaker describes Noah as an “exceptional” actor, very gentle, silent and radiant. The aesthetic of Ailleurs is that of a coming of age story of “enfants perdus” similar to Peter Pan or Oliver Twist. The camera work is alive and aerial,with frequent closeups of actor Noah Parker revealing the intense emotions of a teenager in search of love and a new life. A magnificent “coming of age” story that also pays tribute to the beautiful city of Québec. Never has the city of Québec been filmed with such a poetic intrigue (better word- poésie insolite) than in Ailleurs, with a particular focus on the visual magic of the streets. Having opened in theaters in Québec in March, Ailleurs will be presented in U.S. 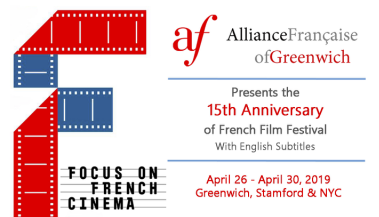 Premiere at Focus on French Cinema 2018.